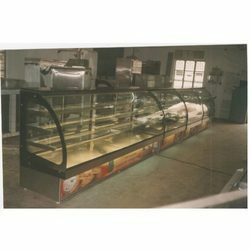 We offer Display Counter for the customers at superior range. The counters include sweet display counter, pizza preparation counter, and Bain Marie two counters. These display counters are used to display the items like sweets, grocery items etc. These counters are made of high quality materials and widely examined on various parameters to assure its quality. We supply display counters to the customers at reasonable price. 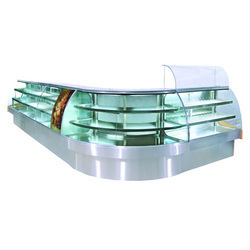 This Sweet Display Counter is used to display sweets to the customers. In these counters different varieties of sweets can be kept to display and which protects sweet from free from flies and dust. These counters are available at reasonable price. These counters are designed with various shapes and design. We supply sweet display counter to the customers at wide range. Looking for Sweet Display Counter ?